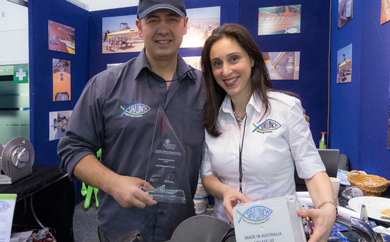 We were delighted to receive an Award for Innovation by the Boating Industry Association at this year’s Melbourne Boat Show. 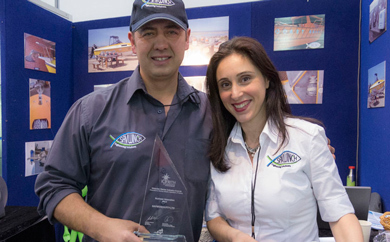 The BIAV/IC Frith & Associates award has given us at Savwinch formal recognition of our business, the quality of our boat anchor winches and in particular draws attention to the Savwinch electronic fast fall system. As a world first system we are proud of this variable speed system that is reliable and clutch free. And you can only purchase this new design from Savwinch, leaders in the winch industry. The award criteria that we were assessed against include excellence in the way you operate your business, product design and innovation, work ethic and code of conduct, safety, green initiatives, customer service and satisfaction and features differentiating you from others on the market. With many other drum anchor winches appearing on the market making a lot of claims, its hard for the customer to decide which way to go. You can now rest assured with a Savwinch , you are getting an innovative award winning winch as recognised by the Marine Industry. We value quality and customer service and all our winches are backed up with a 3 year warranty. Contact Nick for a chat and to locate a Savwinch on display at a boat retailer close by.